I’ve seen multiple meal suggestions of an egg/avocado combo – fried egg on toast topped with avocado, soft boiled egg mashes up in a bowl with avocado, etc. 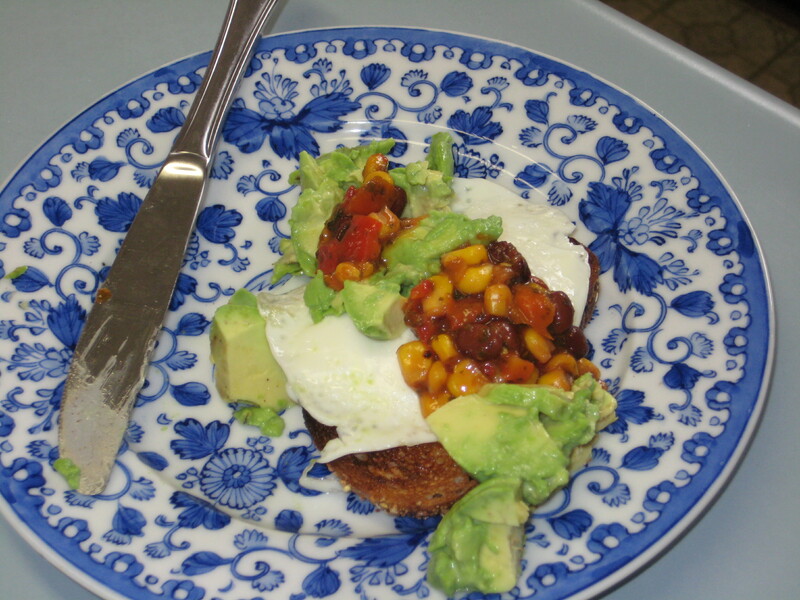 I’d always thought love eggs, love avocado, not crazy about the idea of them together. I finally decided to try it a few days ago … yep, it’s seriously good!! 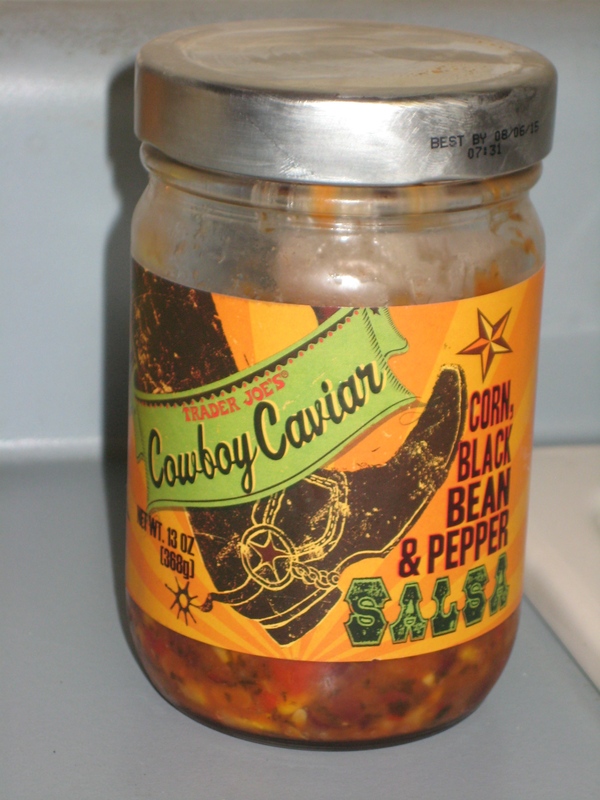 I had it for lunch again yesterday, this time topped with a bit of Trader Joe’s cowboy caviare. Oh.my.tastebuds.goodness it hit the spot!! !